I’ll admit that I am a horrible fisher in World of Warcraft. Since I started so incredibly late, my fishing skills are insanely sub-par. I basically can only catch the dinky little fish. However, on the rare occasion when I can catch a normal sized fish, it’s pretty exciting. AWW YEAH, NOW I ONLY HAVE TO CATCH 9 MORE OF THESE INSTEAD OF 19 MORE SO I CAN COMPLETE THIS GARRISON DAILY! I’ve been trying to simultaneously level up my fishing and cooking, so I’ve been spending a lot of time sitting in my garrison next to a roaring fire. 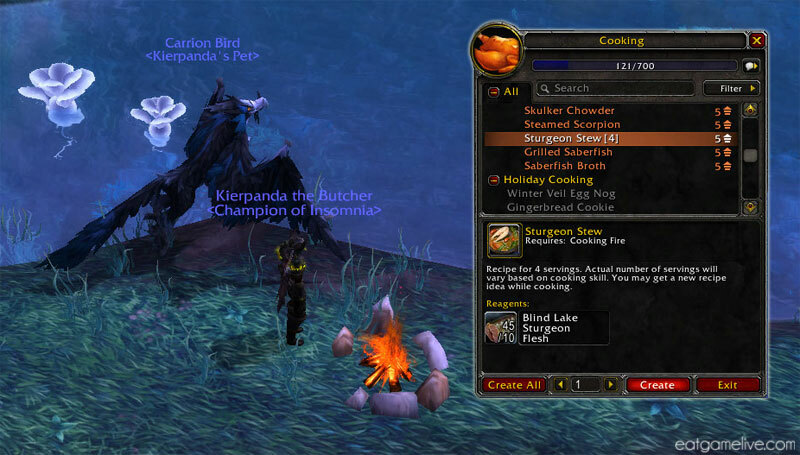 When I first stared cooking in WoW, I thought that Sturgeon Stew looked amazing and I had to recreate it somehow. 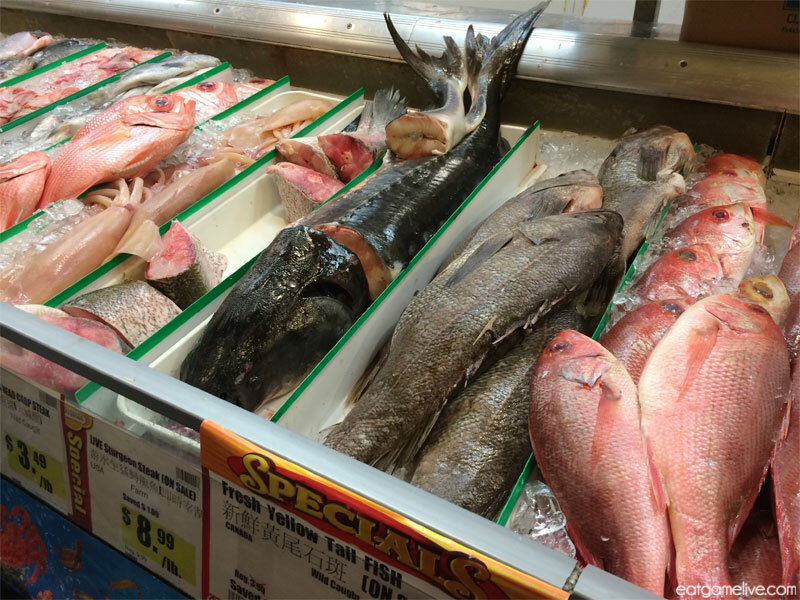 So, I did some research and looked around at my local grocery stores for a fish that would vaguely replicate the appearance of the actual in-game item. But lo and behold, there it was! STURGEON! 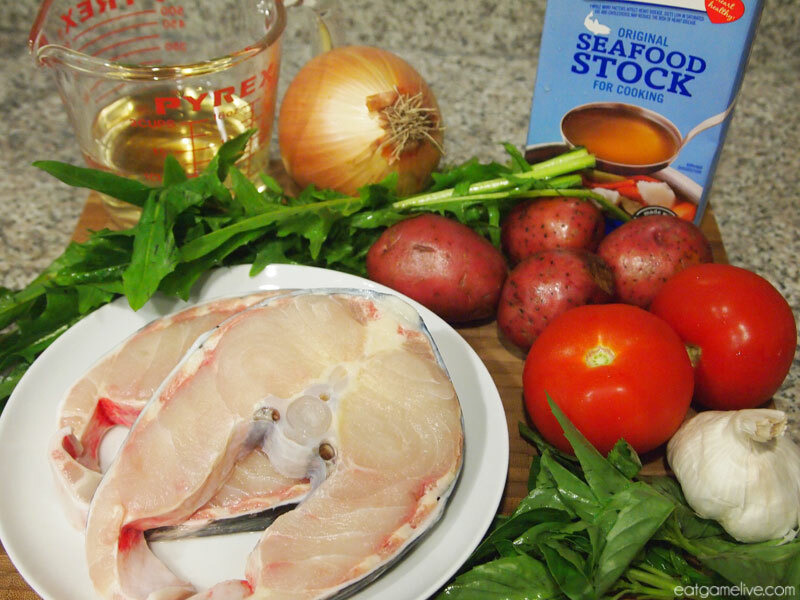 If you can’t find sturgeon, you can substitute another fish such as swordfish or cod. 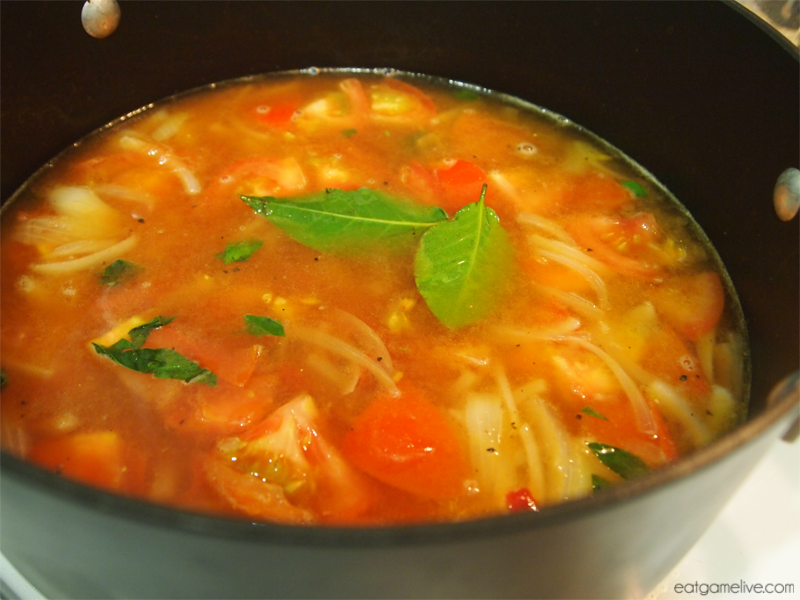 Since the Sturgeon Stew in game has a reddish broth, I decided to create a tomato-based soup. 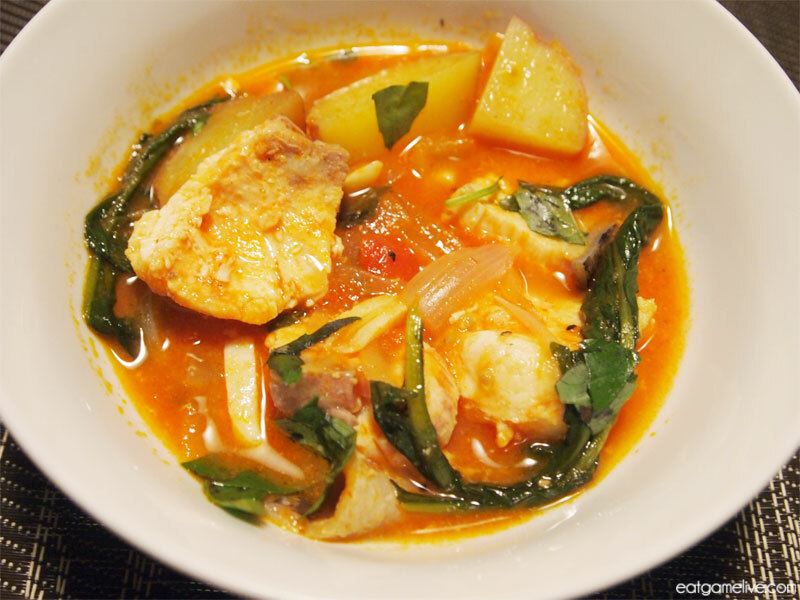 This is similar to a bourdeto, which is basically a Greek fish stew similar to the Italian cioppino. Prep time for this dish is roughly 30 minutes. Cook time is about 45 minutes. This makes about 4 servings. Set a large pot to high heat. Once the pot is up to temperature, add in your olive oil and sautee your garlic and onions. Reduce to medium heat and add in your tomatoes and basil. 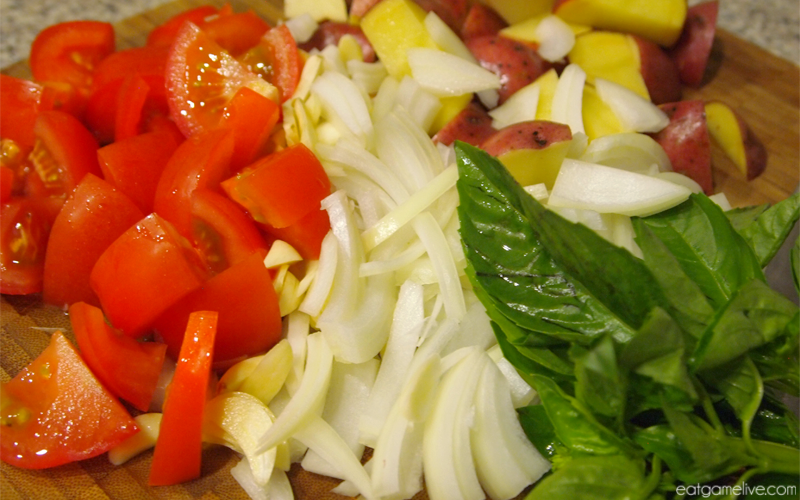 Stir the ingredients gently and allow the vegetables to sweat. Add in your white wine and fish stock. Add in your bay leaf and stir. Add in your chopped potatoes. Let this cook for about 30 minutes. After about 30 minutes, or until the potatoes are soft, add in your sturgeon. Gently ladle liquid over the sturgeon. Add in your dandelion greens. Cover the pot with a lid and cook for ~15 more minutes. Remove your 2 bay leaves. So my goal was to try to make the stew look exactly like the in-game item. I think I got pretty close? 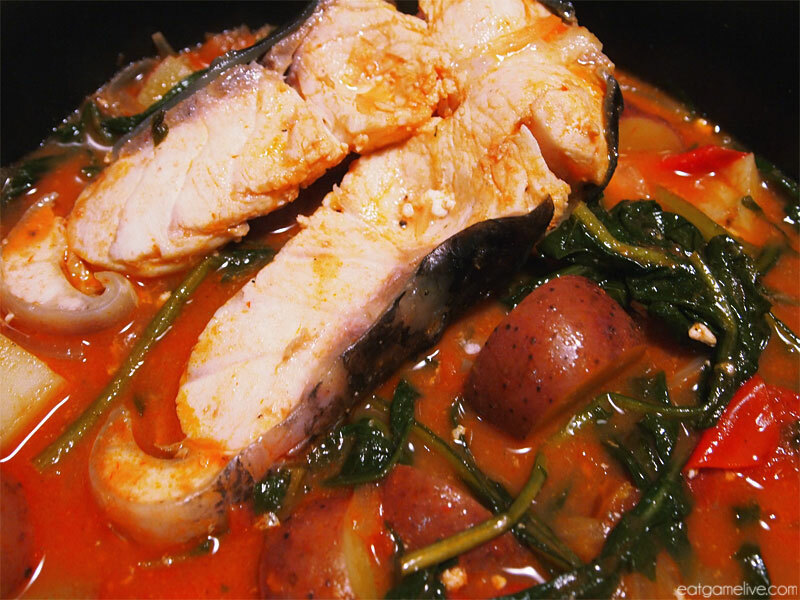 I’m sure if you sit there and eat this sturgeon stew for at least 10 seconds, you’ll gain some sort of haste buff… or at least, you’ll feel well fed for a while. This entry was posted in seafood, soup, world of warcraft and tagged blizzard, gamer food, gaming, mmorpg, seafood, soup, sturgeon, sturgeon stew, videogame, videogame food, warcraft, warlords of draenor, world of warcraft by admin. Bookmark the permalink. this looks amazing! 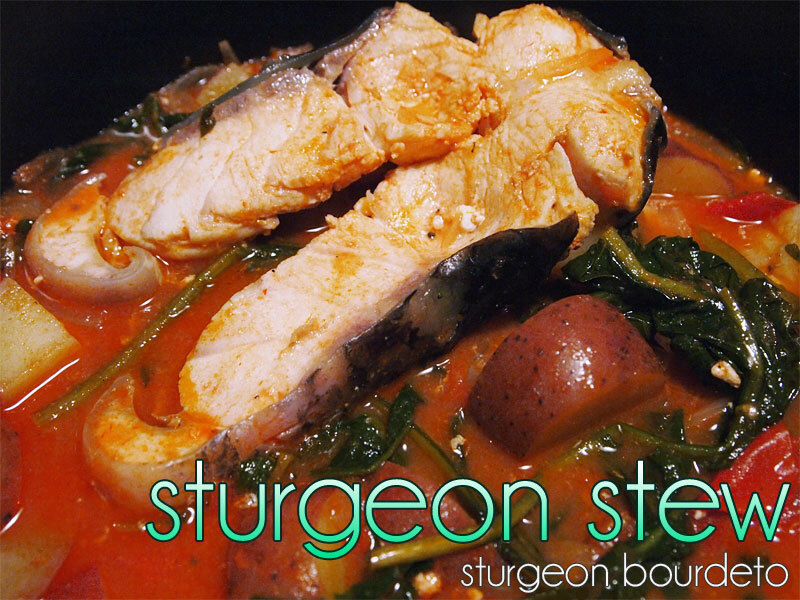 I am putting in an order for sturgeon at my local grocery store this week so I can make this! Thanks so much!